Growing up, church was very important to my Mom. She made sure that my sister and I made it to Sunday School, Confirmation, etc. We went through the routine of attending Sunday School, youth group, etc. However I was still very hush-hush about Mom’s illness. Despite that though, some people knew that Mom was sick. And I saw how people treated Mom because of the stigma associated with the illness. Honestly my heart was sad that church was a place where people could be outcast. Shouldn’t church be the one place where people felt welcomed and accepted; no matter who they are and where they come from? Two days after graduating high school, I went to work at SuperAwesomeBibleCamp. It was the first place that I openly shared about Mom’s illness. Sitting outside on a step of a cabin, talking on the payphone, tears began to stream down my face as I was informed that Mom was in the hospital again. Several of my co-counselors walked by, saw the tears streaming down my face, and began to ask, “Why I was crying?” I don’t remember much after that…except that I went to my cabin and moments later, our camp director came in and asked me the same question. All of a sudden the flood gates opened and I was sharing my family’s story of mental illness with them. I still don’t know what exactly possessed me to share about Mom but somehow the Holy Spirit knew that it was the right time and place for me to do that. During my camp days, I suddenly heard the call to go to seminary. I knew going in that I did not want to be ordained but I definitely knew that this was the place God was calling me to. I toured Wartburg Seminary with my friend Pauline. From the moment, I stepped onto Wartburg’s campus, I knew that God was calling me there. So after graduating college and spending a year at home saving up money, I enrolled in seminary that next fall. 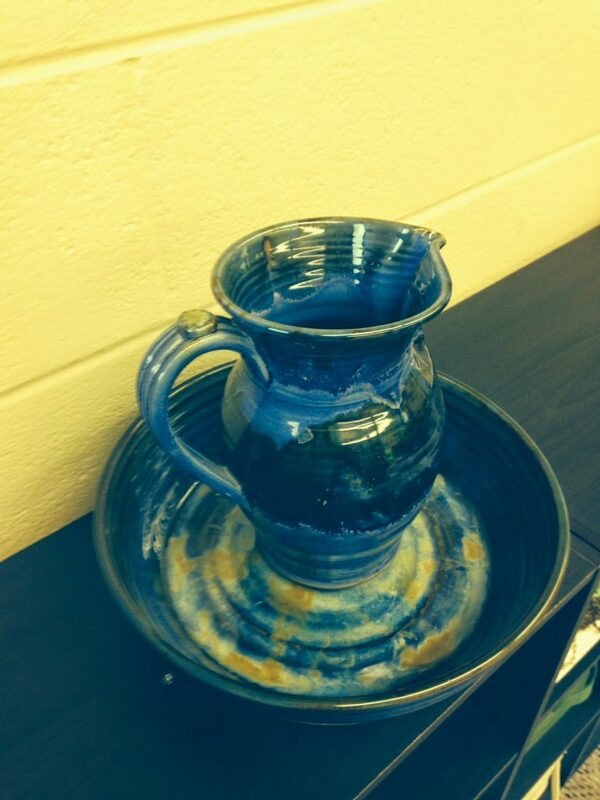 At seminary, I was enrolled in a master of arts class…that talked about the different rosters of the ELCA. I didn’t know a lot about any of the rosters, but it was during this time, that I finally began to hear God’s voice calling me to this new ministry; Diaconal Ministry. We were reading former president of Wartburg Seminary Duane Larson’s book “From Word to Sacrament: The History of the Diaconate” when words began jumping off the page at me “bridging church and world”, “picking up basin and towel” and I knew that was exactly where God was calling me! It has been six years since I have been consecrated as a Diaconal Minister, yet every day I am reminded that God has called me to wash the feet of all God’s people. “Diakonia” and Diaconal Ministry embody who I am as a called child of God. It embodies my love to serve all God’s people. I realize that not every one likes having their feet touched or even washed which is why this is such a powerful gift for me. God calls me to wash the feet of those who are least likely to have their feet washed because they are grimy and dirty. God calls me to wash the feet of the downtrodden. God calls me to wash the feet of the mentally ill. God calls me to wash the feet of saints….and sinners. 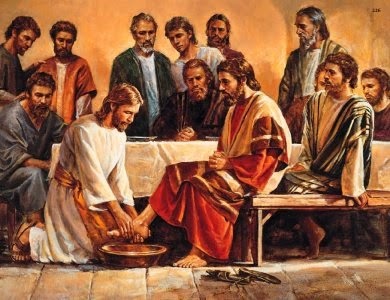 God calls me to wash the feet of the rich…and the poor. God simply calls me to wash the feet of all God’s people no matter who that person is. What an incredible and profound gift that is! 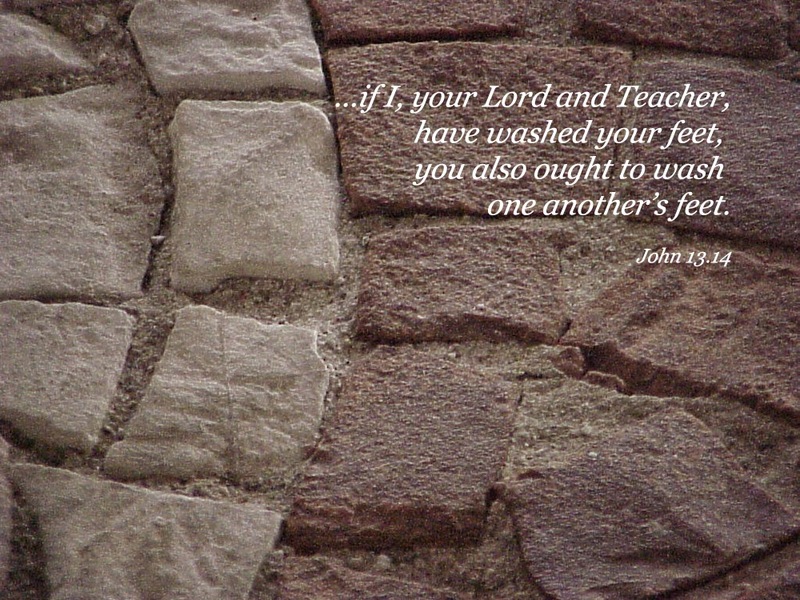 God says to each and every one of us “…If I, your Lord and Teacher, have washed your feet, you also ought to wash one another’s feet” So my friends, let’s grab some water, some towels, and do exactly that! Tonight as I sit in my new home as it snows outside, I am reminded of the many who don’t have a place to call home; who don’t have a bed to sleep in and who call the streets their homes at night. I don’t always understand the choices people make. I know that some would rather buy cigarettes etc than buy the things they really need. But I also know that’s not true for everyone. There are so many for whom this is NOT the choices they would make at all. They would do what they can to provide their family with the needs they need. Because I/we are the fortunate ones, it is important for us to follow Jesus’ example of servanthood. It brings me such joy to watch youth collect food for those who are less fortunate. It brings me joy to watch as presents are wrapped and given to Operation Christmas Child. It brings me such joy to watch families and homes work together to serve their neighbors.